Greek Prime Minister Alexis Tsipras last week paid an official visit to Turkey. Three issues of a religious nature that have political implications came to the fore during the visit. First was the inclusion in the official program of a visit to a Greek seminary; second was Turkey’s efforts for equal treatment of the ethnic Turks in northern Greece and the ethnic Greeks in Istanbul; and third was the international status of the Greek Orthodox Patriarchate of Istanbul. Tsipras’ visit to a seminary located on Halki (Heybeliada) island near Istanbul was important because it was the first by a Greek prime minister to this important institution of theological studies, which was established in 1844, for more than 80 years. The visit was also important because of its political implications: The school was closed down by Turkey in 1971 because of a Constitutional Court verdict that ruled that higher education institutions operating in the fields of military or religious education have to be placed under a state university. Halki Seminary refused to be subjected to this rule and had to be closed down. The seminary’s closure caused a strong reaction in the worldwide Orthodox community. Greece was able to move several countries, including the US Congress, to push Turkey to reopen it. Presidents Bill Clinton and Barack Obama, and Secretary of State Hillary Clinton also asked the Turkish authorities to reconsider. On Greece’s initiative, the EU wanted to make the reopening issue part of Turkey’s EU accession negotiations. Ankara rejected it. 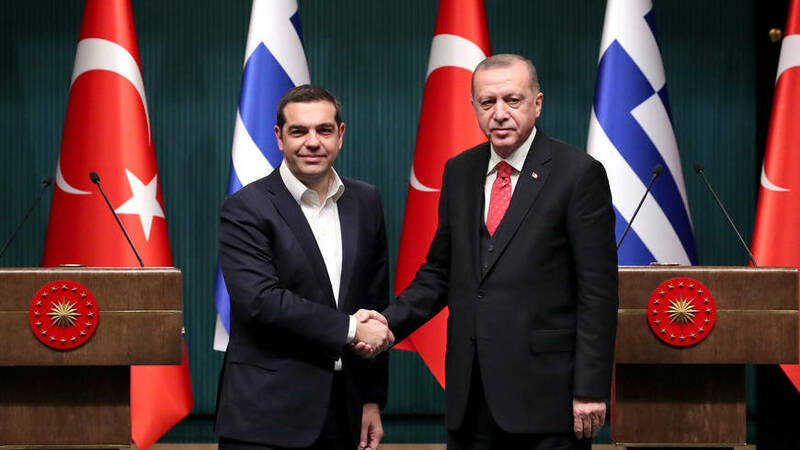 Tsipras said during his visit that he hoped Turkey would reopen the school and he could, in the future, visit it together with President Recep Tayyip Erdogan. The second issue was Turkey’s efforts to achieve equal treatment between ethnic Turks in northern Greece and ethnic Greeks in Istanbul. Ankara does not interfere in the election of the Greek Orthodox bishops and patriarchate, but Athens is less generous in letting its ethnic Turkish community enjoy its religious rights. A peace conference was held in 1923 in Lausanne, Switzerland, to negotiate the borders of the then-nascent Republic of Turkey. The conference decided, among other things, to exchange Turks living in the former Ottoman territories in Greece and Greeks living in republican Turkey. Turks living in northern Greece (Western Thrace) and Greeks living in Istanbul were exempted from this forced population exchange because the communities in these two areas were too large for resettlement. The treaty signed at the end of the peace conference established a balance between the rights of the two communities and both were allowed to elect their religious leaders. Ankara does not interfere in the election of the Greek Orthodox bishops and patriarchate, but Athens is less generous in letting its ethnic Turkish community enjoy its religious rights. It refuses to recognize the mufti elected by the ethnic Turkish community and appoints its own instead. In 1990, the elected mufti of Xanthi in northern Greece, Mehmet Emin Aga, was imprisoned on the grounds that he usurped the title of the appointed mufti. Turkey expects that Athens will find a solution to this unequal treatment. The third issue is the Ecumenical Patriarchate of Constantinople (Istanbul), as it is called in the Orthodox world. This is a slightly more complicated issue. The patriarchate has existed since the fourth century and took its present status in 1054, after the Great Schism between the Roman Catholic Church and the Eastern Orthodox Church. After the dismemberment of the Ottoman state, the international status of the patriarchate was the subject of a heated debate in the Lausanne conference. Turkey was reluctant to maintain the patriarchate in its country but had to agree to keep it, on condition that it should become a national institution of Turkey. It also refused to recognize the “ecumenical” title of the patriarchate. Erdogan made a reference to this issue during the press conference after his meeting with Tsipras. He said Turkey had already taken steps to facilitate the task of the patriarchate by asking it the names of the elected members of the Holy Synod and granting them Turkish citizenship. The Holy Synod is an organ of the patriarchate that helps it in the conduct of its affairs. It is composed of bishops of the patriarchate from various bishoprics throughout the world’s Orthodox communities (Germany, Malta, New Jersey, Chicago, Rhodes, Korea, Singapore, etc.). Since Turkey considers the patriarchate a Turkish national institution, the elected members of the Holy Synod have to be granted citizenship in order to become a member. This is the reason why Erdogan referred to the granting of citizenship to the members of this important body. Whether Tsipras’ visit will contribute to the solution of these complicated religious issues — as well as the other problems of a political and military nature in Greek-Turkish relations — remains to be seen.